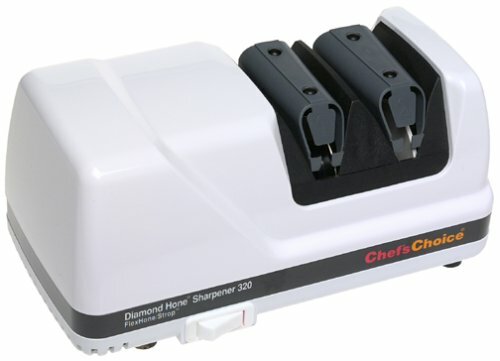 The Chef’s Choice 320 Diamond Hone Electric knife sharpener is ultra-efficient. As the name tells, it is all about the strength of diamonds. Generally, I had to sharpen my knives really often. When there is frequent knife work, I know blades are going to need some reconditioning at short intervals. The process can be frustrating. If the edges are never fully restored, I recommend trying Chef’s Choice 320. Other sharpening devices handle the straight blades but not the serrated ones. This one takes care of both types. We all know there is nothing stronger than a diamond. When a sharpener uses diamond against the blade, you know you’re going to get it as sharp as you want, in a short time. The first stage features abrasive disks with diamond “powder” to hone the edge. The second stage has polymer disks for polishing and stropping the edge to make it as thin as a hair. When you are dealing with a serrated edge, pass it only through the polishing stage. Sharpening knives with this tool is as easy as 1-2-3. Plug in the device, then place each knife in the appropriate slot. Remember to read the instructions. You will easily get the correct angle for the blade. The rapidity of the process is enchanting. 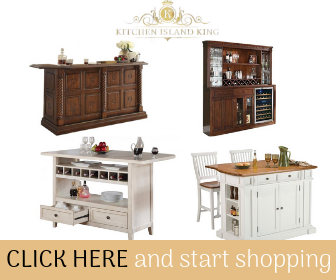 Any busy kitchen bee will understand the importance of it. Especially if you work in a kitchen, you don’t have a lot of time or energy to waste on sharpening your knives manually. Going from conventional knife sharpening methods to using an electrical sharpener is a huge revelation. Sharpening becomes an effortless endeavor now. Many like this tools because maintenance is so easy. There is a removable tray that will let you discard all those metal shavings. You won’t have to do this too often anyway. The device is easy to set up, just follow the instructions. All you will have to do then is to plug it in when ready to use. Here on amazon, customers rated Chef’s Choice 320 with an average of 4.6/5 stars. With Chef’s Choice 320, the right angle for the blade is not always obvious. Some users tend to get scared by this, but it is quickly corrected with practice. The device offers enough of a hint when you’re using it – it just takes a little bit of time to catch on. Combine an electrical device with the unbeatable power of diamonds and you achieve really efficient knife sharpening. You will get to sharpen an entire collection of knives within minutes. This is what Diamond Hone is about. It is hard to compare to manual sharpening means. If you want a lower price, opt for the plastic cover design, it is cheaper than the metal one.